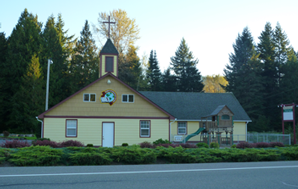 Faith Baptist Church in Ashford is the direct result of the vision and the obedience to God’s Word by Faith Baptist Church in Tacoma, Washington. 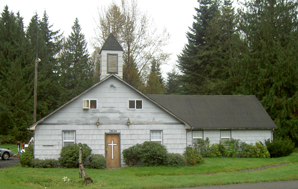 Faith Baptist Church–Tacoma, was founded over 40 years ago. When the current pastor, Mark Smith, came to Faith Baptist Church in 1994 he brought with him an intense desire to see God’s name proclaimed at home as well as around the world. It is Pastor Smith’s firm belief that “Every community needs the gospel.” Faith Baptist Church–Ashford would like to thank Faith Baptist Church–Tacoma for 40 years of faithfulness and for caring enough to start our Church! Pastor and Mrs. Koehler are thankful for the opportunity to minister to the Upper Nisqually Valley and have committed their lives to this area. The Lord has also given Pastor Koehler, his family and the Church great liberty to reach out into their community through many different ministry opportunities. Pastor Koehler is a volunteer with the local fire department (PCFD #23) and is their Chaplain as well as an EMT/Lieutenant. The Church has their own food/clothing bank called Handfuls on Purpose, which is open to all people of need. The Church is also a member of the Mt. Rainier Visitor Association.